Happy New Year to all my followers old and new! As we get 2014 underway, here are the winners of the second Annual Brian’s Coffee Spot Awards. This time there are 20 Awards, celebrating all the wonderful Coffee Spots I wrote about during 2013. The shortlists for all 20 Awards were announced between Boxing Day and New Year’s Eve and now we have the winners! If you don’t like lists, you can see who won this year’s Awards in the gallery. The Tinderbox in Islington is one of the formative places that confirmed for me that I have this innate love of cafés. Yes, I do like great coffee, but it goes much deeper than that. There is a real pleasure to be gained in simply sitting in a great café and losing an hour or two reflecting on life. 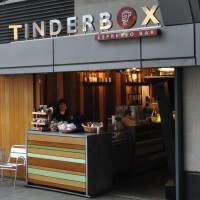 The Tinderbox was one of those places, first in its original location, and now in the N1 centre in Islington. Runners-up: Paris’ Café de Flore, the archetypal French pavement café and Charlie’s Sandwich Shoppe, an old-fashioned diner in Boston. It’s not the location, it’s the setting. Attendant, in a disused Victorian gents toilet on London’s Foley Street, was the clear winner this year. The great thing about Attendant is that it avoided being a gimmick. It could have so easily rested on its laurels and settled for being the café in the toilet, but instead it’s nailed its colours firmly to the mast with some excellent Caravan coffee. Runners-up: Newcastle‘s Flat Caps Coffee, down in an (almost) unfindable basement; Rave Coffee Café, excellent coffee in an industrial estate south of Cirencester. It took me long enough to find Café Mila, just down the river in Godalming, but it was worth the wait. Good coffee, excellent surroundings and a friendly, neighbourhood feel that just can’t be beaten. Every town should have a Café Mila. The clear winner this year, Kahawa is bringing fine coffee to Coventry in a classic setting. It’s a really lovely place, with lots of light and space. Walking in, I immediately knew that I was going to like Kahawa an awful lot. Runners-up: Taylor Street Baristas, Brighton; Taylor Street Baristas, Mayfair. What can I say? Taylor Street have got the look nailed! In fairness, Pink Lane Coffee would grace any location. It’s a fantastic place, with a real emphasis on top-notch coffee. It’s also a lovely setting, the sort of place you could accidentally misplace an afternoon. It just so happens that it’s also right across the street from Newcastle‘s Central Station, making it the perfect place to sneak out for some great coffee when changing trains. Runners-up: Yorks Bakery Cafe, 6/8 Kafé. The Birmingham pair were the obvious choice, both offering great coffee a few minutes’ walk away from New Street Station. 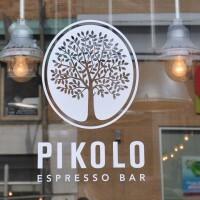 Montréal’s Pikolo Espresso Bar would grace any city, anywhere in the world. It’s where I conclusively fell in love with the Montréal coffee scene and confirmed to me that it’s one of the great coffee cities of the world. Pikolo itself is lovely: long and thin, with a great balcony at the far end, it also helps that it serves superb coffee with passion. Definitely a must-visit if you are ever in town. Runners-up: Paris’ Black Market is no more, but is reincarnated as Fragments while Montréal’s Résonance! is an excellent Coffee Spot, jazz club and vegan restaurant rolled into one! Clear winner this year, Vagabond N7 served me a Has Bean Yirgacheffe that was out of this world. I can honestly say that I’ve never tasted anything like it! It helps that Vagabond N7 is a lovely place too, having got the “unfinished” look down to a fine art. Runners-up: The Borough Barista, with an espresso blend that could have been roasted just for me and South Coast Roast, another Has Bean outfit! The clear winner is Newcastle‘s Flat Caps Coffee who helped open my eyes to the wonder of filter coffee. This was one of the cleanest cups of coffee I’ve ever had, and is probably the first time I’ve ever described coffee as “clean”. Runners-up: Store Street Espresso, helping rehabilitate bulk-filter; Workhouse Coffee, King Street, serving up excellent filter coffee (and excellent everything else). The clear winner this year. 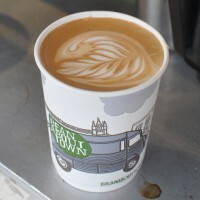 Bean About Town serves up consistently excellent coffee in a market where others often stop at good (or fail to even get that far). The van at the Real Food Market is still somewhere I go to get good coffee in preference to anything indoors nearby. The only reason it didn’t win this year is because I wrote about it last year and the only reason it didn’t win last year was because I hadn’t thought of the Award!. 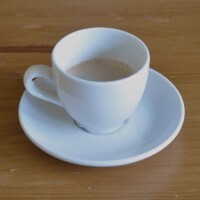 Runners-up: Rave Coffee Café, serving excellent takeaway coffee just south of Cirencester; Goodge St Espresso, lovely coffee from a tiny shop on Goodge Street. I know, I cheated. But in all honesty, it’s still the place where I buy the majority of my coffee beans, so it would have been very hard to give it to anywhere else. Maybe 2014 is the year I will spread my coffee-bean-buying wings. Runners-up: About Coffee, a lovely coffee shop/retailer in Colne; Rave Coffee Roasters, mailing freshly-roasted coffee around the country. My favourite Award and I am delighted to be able to give it to Peyman, Rana and the team at White Mulberries in St Katherine Dock. Just such a lovely, lovely place, full of wonderful people. The coffee’s pretty damn good too! Runners-up: North Tea Power, with staff dancing behind the counter; Café Olimpico with staff who sing along to ELO and Sister Sledge. The clear winner this year; had there been an Award for “Best New Coffee-related Magazine” then Caffeine Magazine would have won that hands down too. The fact that I regularly write for it has nothing to do with it. Honest. 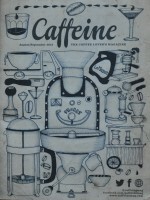 Everything about Caffeine Magazine spells quality, from the writing, the photography & art, the production and the printing. Even the adverts are excellent! Runners-up: London Coffee Festival 2013, the Coffee Festival in the UK; Caffé Culture Show 2013, an excellent trade show in London. 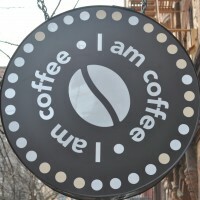 I Am Coffee on St Mark’s Place, New York City, was another clear winner. On size grounds alone, it was in a clear lead, but Giovanni packs in so much coffee goodness into such a small space, I’m surprised it doesn’t explode, showering much of NYC with coffee. If you are ever in New York City and only have time to visit one coffee shop, then (aside from weeping with frustration) this is the one to go to. Runners-up: Caffeine & Co, Manchester‘s very own Espresso Cube; Goodge St Espresso, the only place to give I Am Coffee a run for its money (size-wise). I said at the time I visited that this may be the finest physical location for the coffee shop, situated at the meeting of three aisles of Cardiff‘s Harris Arcade. I have a soft spot for the upstairs, although the downstairs has its charms and would grace any coffee shop in the land. Runners-up: Boston Tea Party, Worcester, with its own AEROPLANE; Coffee & Co, drinking coffee in someone’s (posh) sitting room in Cheltenham. A wonderful place, great Coffee Spot in its own right, working bakery and excellent breakfast & lunch spot, Hart’s had to win something. However, as the suppliers of cakes and pastries to many of Bristol‘s finest Coffee Spots and as the makers of the finest cinnamon buns ever, it was only fitting that Hart’s Bakery, located under the approach ramp to Bristol’s Temple Meads station, walked away with this years’ Coffee Spot Award for Best Cake. Runners-up: Foxcroft & Ginger, purveyors of the world’s best muffins; M1lk, home of a fantastic hazelnut cake. A legend and old-favourite reborn, The Bristolian had its beginnings as a greasy spoon, but has now added to that with excellent coffee while keeping the breakfasts which made its reputation. Still a must-visit for me, despite stiff competition in the area. Runners-up: Charlie’s Sandwich Shoppe, my go-to place in Boston; Quay Ingredient, my go-to spot in Newcastle. 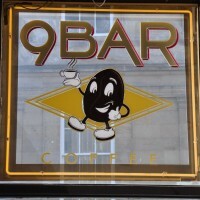 9Bar Coffee claims to have the world’s best toastie and who am I to disagree? It’s certainly the best cheese toastie I had in 2013, which is good enough for me. 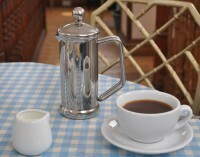 It also serves some excellent coffee in wonderful surroundings with bags of atmosphere! 9Bar Coffee now has a brand new Kees van der Westen lever espresso machine. Shiny in the extreme! Runners-up: Le Lapin Pressé, a specialist in grilled cheese sandwiches and coffee (naturally); Hart’s Bakery, producers of all things wonderful in Bristol. I was, quite literally, blown away by the passion on display at Workhouse Coffee in Reading, both from the wonderful staff and from owner and chief coffee-roaster, Greg. It might be the most complete Coffee Spot that I visited in 2014 and I can’t praise Workhouse highly enough. Runners-up: Didn’t You Do Well & Full Court Press, both bringing the love of, and passion for, great coffee to Bristol. 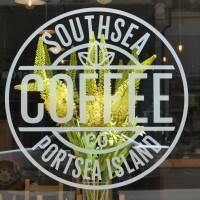 The Southsea Coffee Co could have won any number of Awards this year, so I’m delighted to be able to present it with the Brian’s Coffee Spot Special Award for 2013. It is an outstanding place: great coffee, lovely decor, fantastic atmosphere, but with that special something that lifts it above the rest. Runners-up: Cotswold Artisan Coffee, bringing top-notch coffee to Cirencester; Everbean, another delightful place, this time in the heart of Mayfair. With 999 views, 50% more than its closest rival, the Look Mum No Hands Pop-up on London’s South Bank was the clear winner this year. It has now closed down for the winter: we can only hope that it’s back again next year! Runners-up: Small St Espresso, Didn’t You Do Well, both flying the flag for Bristol.